Heat therapy dilates the blood vessels of the muscles. This process increases the flow of oxygen and nutrients to the muscles, helping to heal the damaged tissue. 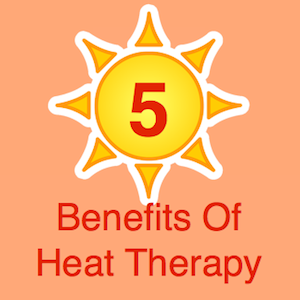 Compared to most therapies, heat therapy is quite inexpensive. Heat therapy is also easy to do – it can be done at home while relaxing, and portable heat wraps also make it an option while at work or in the car. A hot pack helps promote the natural healing process of your body. Better healing means less toxins that may cause pain and swelling.